Welcome to ejobsresult.com Admission Category Page. 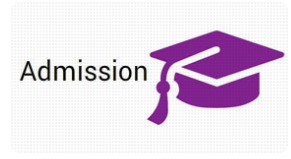 In this category you will get all the admission related information of Bangladesh. Such as Bangladesh Public University- Dhaka University, Jagannath University, Jahangirnagar University and other public university Admission Circular, Admission Test Result and other information.Bangladesh National University- Honours, Degree, Masters Admission Circular, Result. All Private University- North South University, East West University, Brac University Admission Circular, Admission Test Result.School and HSC College Admission Circular and other information about admission.